The basic SLS activity can be done with any accurately subtitled musical DVD. SLS video can also also be custom made from any audio and/or video source. Most DVD musicals come with decent subtitling and will work for this activity. Even better, you can edit DVD video to produce fairly high quality dynamic subtitling on most computers. Best free media tool available. Converts video, audio, pictures; compress, snip, rip anything. 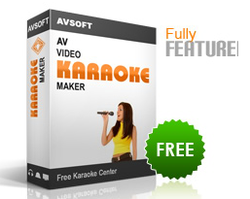 all purpose video conversion software. -- download videos from YouTube- reformat screen capture- download embedded flash video from your favorite video websites. The absolute best in video editing --tool of choice for kinetic typograpy. This is the professional grade for text effects. Excellent video editing and very affordable. Easily the best Karaoke player and service available. They have stopped selling their Studio and Editor versions --so if you have a copy do not loose! 1) Librettos and lyrics are generally available online and can be purchased. 2) Texts need to be proofed as they will rarely exactly match audio. 3) Most language tools can not check readability w/out corrected punctuation. Add/correct punctuation. 4) Worksheet activities should target your students reading level and needs. See recommended assessment tools. 5) A basic cloze-style worksheet works well and use short response questions. See worksheet section for ideas. 1. watch three brief repetitions of projected SLS musical video; (SLS plays before classes, three repetitions after bell to start each class, and played during passing times.) This is a very good starter activity --the volume and the strength of the video tends to eliminate disruptive behaviors. Teacher should model focus, tracking strategies, echo singing, etc. 2. while watching: complete cloze-style worksheets (Lyrics with blanks based on a pattern, such as type of word, related vocabulary, alliterations, etc. ), this response sheet also can include short responses questions. The entire activity can take less than 20 minutes per day. The source materials for this activity can come from popular story-musicals containing lyrics well above students’ instructional reading levels and can be paired with class reading activities. For beginners, I would suggest trying the Lion King, or Beauty and the Beast, for secondary students I would suggest Les Miserables and Hugo's novel, ‘Cats’ and ‘Old Possum’s Book of Practical Cats’, 'Big River' and Huckleberry Finn. The idea is to choose source material that will both challenge and engage your students. The activity must include a worksheet task (cloze, proofreading/editing) and echo reading/rehearsed reading/ or sing-a-longs. The worksheet task is important; it would be so simple if they would all just voluntarily focus on learning the lyrics, however in the practical application the students need a simple task to complete, one that promotes both repetition and focus. The idea is to promote the active tracking of the subtitling. Pick exercises to target reading strategies, story elements and vocabulary from related reading assignments.Once the students get engaged they will slowly take over and the singing and learning will become spontaneous. Teachers (and students) can also produce subtitled multi-media files themselves. This type of SLS activity centers on creating and manipulating subtitling with audio and visual files. For this activity, my students learned to use ‘Karafun’ (a free karaoke production program), and Microsoft Word and PowerPoint programs. There is also a professional version of Karafun and many more programs and activities that can be used in conjunction with SLS.